Hello everyone! This is tsuyori speaking. If you find yourself on this page, that means that you have an interest on buying something from Amazon JP. So here is a simple tutorial on what to do and how you can try to purchase something (an album perhaps) from Amazon JP! 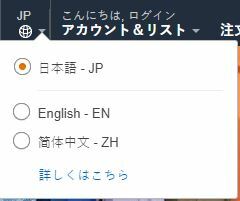 Amazon JP is available in English and Chinese, so if you are not fluent in Japanese, then please switch it to either English or Chinese for your own conveniences. Do note that not everything on the site will be in English or Chinese after you switch the language, those are still computer translation and not proper translation but it should be enough for anyone to navigate around the site and understand it. And here is how you change the language. On the top right side of the Amazon page, you can see a globe icon with the letters JP on top of it. Hover it over it and a smaller box will appear at the bottom it. Select English – EN and your page will automatically refresh into English! Once your page is in English, please register an account if you do not have one or sign in if you already have one. Note: I’m not too sure if you can use your existing Amazon account for Amazon JP, but I would highly recommend to make a separate account if you can. Once you are signed in, then you are ready to shop! At this stage, feel free to browse around Amazon to see what you want to buy. As this tutorial was to help people to buy albums off Amazon JP, so we are going to buy some albums! I’ll explain along the way. Once you found an album you want to buy, this is what you will usually see. Now, there is a few things to note here. One, albums that are sold under Amazon.co.jp are the only albums that ships internationally. This is because Amazon is also a marketplace, and there will be third parties seller. Third parties seller are unable to ship internationally as they only do domestic shipping. The information can be found on the box at the right side of the page, underneath the price. Note: The FREE Shipping is only available for domestic shipping. Two, the different versions offered. Typically some albums comes in various versions but if your album is only available in one version then you may skip this number. The album shown above is Mekakucity Reload by Jin. So Mekakucity Reload comes in three different versions; limited edition version A, limited edition version B and regular edition. What different version offers is something that you have to find out your own. These information are usually available from the producer’s website. 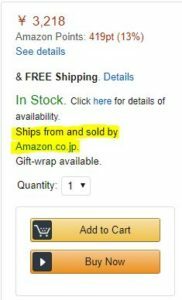 The description in Amazon are usually in Japanese and most of the time they are incomplete. So it’s better to find it out on your own with a bit of Google Translate help. Just for a simple understanding, 通常盤 means Regular Edition and 初回限定盤 means Limited Edition. Do note that if you select the other version than the one you are on, you will automatically be redirected to the page with that version. Three, the type options. Above the editions/versions options, you might see other options that said Streaming, MP3 and Audio CD. The first two options; Streaming and MP3 is basically the digital version of the albums that you can stream or buy through Amazon JP. If I am not mistaken, unless you have a Japan based credit/debit card, you are unable to purchase them. Please do correct me if I am wrong as I have never actually try to stream or buy the digital music through Amazon JP. So make sure that it’s selected on the Audio CD so you can purchase the physical album. Once you have decided to get the album, just simply press Add to Cart button that is in the box on the right side of the page. You may select Buy Now if you want to straight head to the check out page. You’ll be brought to this landing page once you click on the Check Out button. Since most of us do not live in Japan, so please click on the highlighted link. The address form format will change and you should be able to enter your own address. After you are done, just simply click on Ship to this address button at the bottom of the option. You’ll be redirected to the payment page as soon as you are done with the shipping section. Likewise, since most of us do not live in Japan, the only payment option that is available is Credit Cards. Click on the highlighted option and proceed to key in your card details. By the way, debit card works as well. Press on the Continue button after you are done. Note: There are times where Amazon JP does not accept some credit/debit cards due to unknown issues. Personally, Amazon only accept two of my debit cards out of four of them. So please have a few other cards on hand to try just in case they do not accept your primary card. After you are done with that, you’ll be brought to the review page. This is page where you double confirm your order, and check all your details to make sure they are all correct. The shipping prices to your location is also stated on the right side of the page along with your total. If you are satisfied with the total price after including shipping, just click on Place your order and you are set! Note: If there is any issue with your order or information, don’t worry, Amazon will immediately tells you about the issue right after you click on the button. So read what they say and try to work it out. And this is it! This is how you can purchase anything from Amazon. But I will elaborate a bit more below on how to Cancel orders and how Amazon charges you. Oh and a tip on how to add more item to your order. So do not close this article yet if you want to know more. Now, Amazon JP is amazing in a way is because of how it works. In most situations, Amazon will not charge you until they are about to ship the products that you are buying. So what this means is that you can cancel anytime from the moment you order until they charged you. There is zero penalty for cancelling an order. I am not too sure if you can cancel an order after they charge you because to be honest, I have never tried. Well, glad you asked! This is a few simple steps on how to cancel your order. At the navigation bar, you can see button for Orders. Click on it and you’ll be redirect to your orders page. As you can see, this is album that we have previously purchase. To cancel an order, you can just click on Cancel items button. You’ll be brought to the page and just checked the item you want to cancel. Then just click on the Cancel checked items button. And that’s it! Your order is now cancelled and Amazon will not charge your card after this. How to add more items to the order that had already been placed? 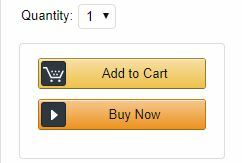 You see, Amazon do not have an option that allows you to add more item to an existing order. So the only way to add more items into an order it to cancel the order completely, and then all all the items you want to buy into the cart again with the extra items and proceed to check out. Since there is no penalty to cancelling orders, this method will allow you to save some money on shipping fees. Amazon JP have a starting price of shipping, for my case it’s 850 yen for the first album, and subsequent albums will add around 200-300 yen to the total shipping cost. But if I split my order, I have to pay 850 yen twice for two different orders. And we have reached the end of this tutorial! 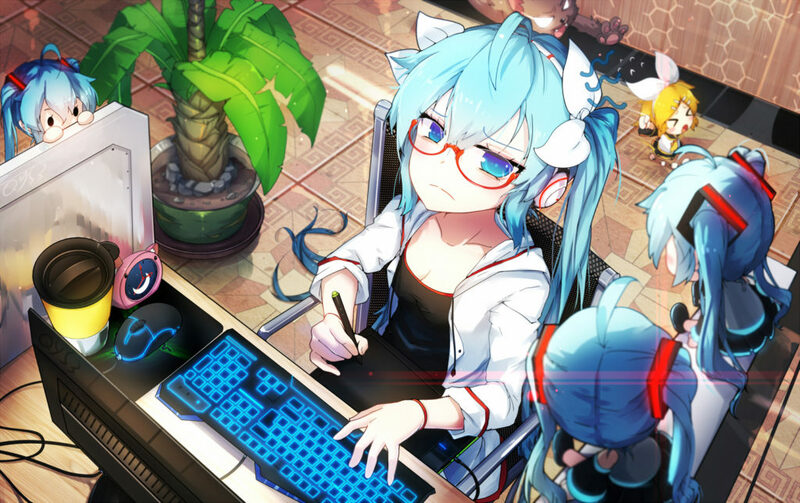 Do not hesitate to ask any questions in the comments below, and if you want message me privately, you can either send me an email to tsuyori.miku@gmail.com or find me on MikuDB’s Discord server (my Discord tag is tsuyori#8843). I do not accept unknown friend request on Discord so it’ll be better to find me on the server. P.S: If I get enough requests, I might make another post comparing different sites to purchase albums (CDJapan, Amazon JP, and etc) on which site is cheaper, shipping speed/cost and other factors.